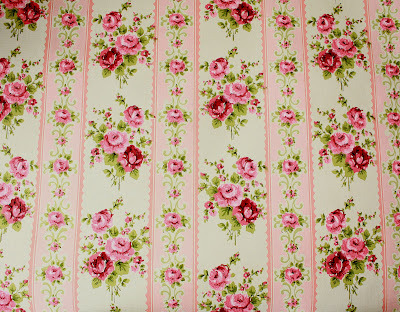 French Laundry: The Prettiest Pink Roses Vintage Wallpaper EVER! 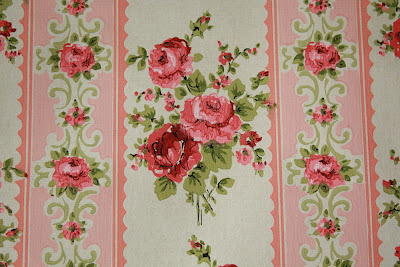 I love your pretty wallpaper, and I am sure that it would look wonderful decorating a bedroom. oh gosh Judy.. I love love love the wallpaper! soo rosey beautiful! Happy PS! It is gorgeous. Don't you hate cutting it? Too is simply to die for! Gorgeous! What a find! It is in mint condition...bet you sell it all in no time! I can't imagine how hard it must've been to hang real paper without the pre-paste! That wallpaper is stunning! I will certainly check out your ebay site! Incredible wallpaper and blog! Glad I found you! So pretty to look at. I would have a hard time picking out a favorite. Happy pink saturday. Would you like some peanuts with your beer? LOL! I hear ya sister! Happy Pink Saturday, Judy! Such pretty wallpaper! Would look beautiful in almost any room! It's pinkalicious! It is beautiful! I can just see it on one bedroom wall with the other four walls painted pink! I love to daydream, thanks for the daydream material. Happy PiNk to you...May your week overflow with PiNk bliss! I literally swooned, when I saw that wallpaper! Your right we are indeed kindred spirits. Can't wait to check out your ebay auctions. So pretty! Want to trade papers? Hello :) Haven't done anything with the wallpaper yet. Waiting for just the right project to use it. I finally took the plunge and started my own blog! shabbycatsandroses.blogspot.com. Hope you get a chance to come over and check it out sometime.